It is easy enough to talk about the positive healing benefits of an astrological framework, providing as it does a major defence against meaninglessness and insignificance. Feeling connected at a personal level to loved ones and friends is recognised as a major factor in promoting and maintaining physical, emotional and mental health and happiness. Feeling connected at a more cosmic level lets us see that we are not random accidents in time and space, but threads in the weave of a greater pattern – very small threads perhaps, but contributors nevertheless. This awareness promotes a sense of spiritual well being. I always attempted to restore a sense of perspective on this issue by pointing out to my astrology students that for the whole of human history most of humanity has managed to stagger through life without the benefit of astrological knowledge. On one occasion, I asked a small group of my tutorial students, who had studied and practised for long enough to experience both the light and the shadow facets of our great art, to write something about its healing and wounding dimensions. I was delighted by the honesty and perceptiveness of their feedback. Here is what Charlotte, 35 at the time of my asking, had to say. This is one person’s vivid perspective on the implications of knowing her natal horoscope. I’d be interested to have comments on this issue from my readers. This entry was posted in Astrology: challenges, ethics and practice (11 articles) and tagged Astrological sign, Astrology, horoscope, Prometheus, W.Shakespeare, Zodiac. Bookmark the permalink. Well, Leslie, as a child of Saturn/Pluto myself – and writing about it this very week for my column – I too have had a ‘just pressing onward’ often with gritted teeth, life journey. However, to date, I don’t feel I’ve done too badly in rising positively to that most intimidating aspect’s challenges. A gallows sense of humour helps a lot, I find! Because I’m pretty much ignorant of astrology and in some ways not inclined toward it, I can have a hard time with pieces like this. But a step backward always reveals a truth, and there’s one I recognize here: tools are neutral, neither good nor evil in themselves. It’s the use that makes the difference. The same hammer that drives the nail can crush a skull: we are the ones who determine the use. It seems as though the same must be true when it comes to astrology. As a tool for self-understanding, it’s neither magic nor mechanistic. All depends on understanding the nature of the tool, and choosing the use it for good. Now and then, a thumb may get smashed by a hammer that’s building a house, but that doesn’t mean we have to toss away the hammer! Many thanks for your usual clarity, Linda! What you say about all tools is absolutely true. When using and applying the insights of an art as penetrating as astrology can be, it is very very important to be highly aware of how damaging and negative its use could be, as well as lauding its revelatory and potentially healing capacity. 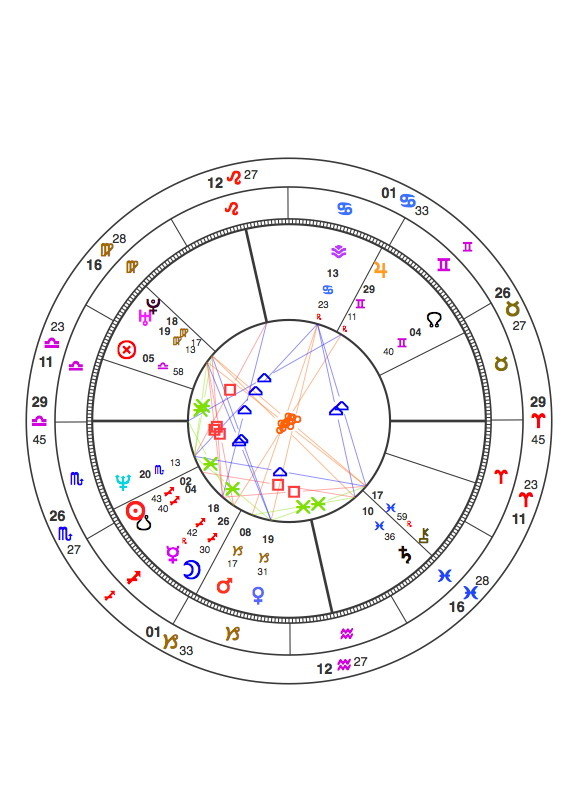 Hi never happy with my sagitarius sun sign = did not feel like me. read vedic astrology find I am a scorpio.This explains more to me about my life journey. So why the difference between western and vedic. Oh i am in my sadi sadi period 7 years! =Saturn return. sorry but I can’t help with this. 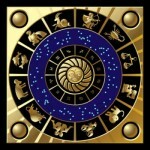 You will need to ask an astrologer who is well versed in both Western and Vedic astrology. Anne, if I may…. H: James T. Braha is a practitioner of Vedic and Western astrology in Florida. He did my chart in the ’80s and explained the advantage of both systems. He’s published several books that are shown on his website. You are most welcome, H. And good luck with the quest! This is a topic I don’t see addressed much in astrological circles. What are YOUR thoughts? I’m glad it’s been a good experience for you, but the reasons to stay away still outweight the reasons to engage — at least, for me. I appreciate that – but, never say never! I was very moved by your recent poem about mourning – so busy catching up at present after being away on family business for nearly two weeks that I have not had the reflective time to compose a response. But I will. As a Sagittarian I never resonated with the signs commonly quoted traits of religion, travel and sport. Then when I started to study Astrology seriously I realised that the restless quest for meaning was indeed very Sagittarian as indeed is the faith that there is something that gives our existence meaning. I am forever grateful to whatever chance (if you believe it chance) that brought Astrology into my life. In the early days of learning I was always searching for answers to life’s difficulties but some years down the line I now realise as Charlotte said that it is not a wounding or a healing art but one of enlightenment via the journey to fulfil your purpose as shown by the natal chart. Acceptance of your part in dealing with your life purpose is perhaps the hardest part and Astrology is an amazing key to help you do so. Thank you so much for this wonderfully eloquent feedback, Carole. There is also some very interesting discussion on this topic, between me and various thoughtful commenters, on my Astrology: Questions and Answers Facebook Page, from when this post appeared there on 4.5.16. Do drop by and have a read!